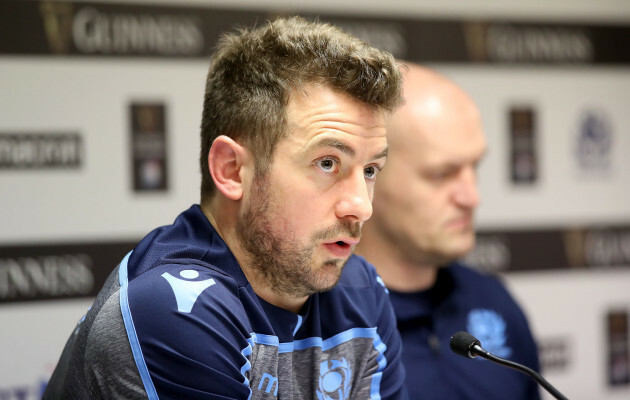 Scotland captain Greig Laidlaw has doubled down on his criticism of referee Romain Poite following his side’s defeat to Ireland at Murrayfield yesterday afternoon. The scrumhalf was branded “classless” by some online yesterday after he had a go at Poite over a number of incidents after the game, suggesting the Frenchman “didn’t like” Scotland. And in in the post-match press conference Laidlaw had even more to say. “It was play on so you can understand why, with the way the game was going, we get frustrated. We talk about Test matches turning on small points and again that just allowed us to release the pressure valve [on Ireland].